While speaking in San Francisco this past weekend, Chrysler and Fiat CEO Sergio Marchionne referred to the multibillion dollar loans from both the US and Canadian government as “shyster loans” – comments which the auto boss now regrets. During the 2010 calendar year, Chrysler paid over a billion dollars last year in interest on the “bailout money” borrowed from the two government bodies and without that massive tax expense, the automaker would have been profitable in 2010. However, if not for the billions of dollars in government aid at a point where banks weren’t looking to hand out any money, many question whether the automaker would have survived. 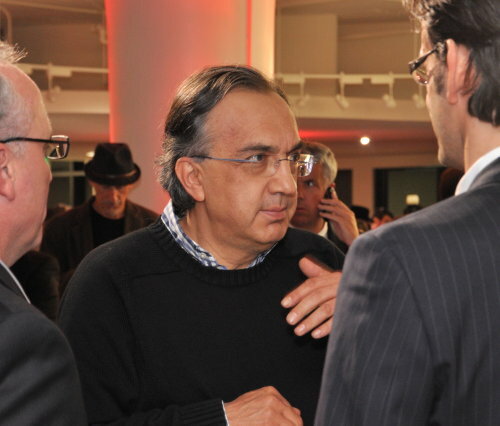 While speaking at a conference ahead of the 2011 North American Dealers Association meeting in San Francisco, Marchionne commented that one of their key concerns right now was to go public (by means of an initial public offering) but before doing that, they have to pay back the “shyster” loans. For those unfamiliar with the term, a shyster is a dishonest individual, most often used in reference to a politician or lawyer and while Marchionne’s comment was more directed at the interest rates included with the bailout loans, he also points out that there was really no other source of financing available for the company. The Chrysler Group is currently involved in new loan talks with the US Dept of Energy and should those DOE loans be approved, Chrysler will be able to borrow a massive chunk of money at an extremely low interest rate. They will then likely use that money to pay off the high-interest loans issued as part of the government bailout and with that move, Chrysler will stand a better chance of profitability as loan interest expenses are vastly reduced. Marchionne was smart to issue the apology but I consider the fuss over his comments to be a bit humorous, considering that the press is full of people who call our government officials dishonest every day...however, the media isn't hoping to borrow a few more billion dollars from the government.